Could There Be Zika in North Carolina? Lately, there’s been a lot of buzz about Zika, a virus spread to people through mosquito bites. The virus can cause a rare defect in babies called microcephaly and has become a worldwide health emergency. Naturally, with all the coverage, we’ve heard employees, friends and family, and the general public wonder if we could see Zika in North Carolina soon. I thought it would be helpful to answer a few questions we’re hearing and help shed some light on this topic. What exactly is Zika, how is it spread and where did it come from? The Zika virus is related to the West Nile virus, and it has not caused serious illness or complications in the past. Infected Aedes species mosquitoes spread the virus to people through their bites. In May 2015, the Pan American Health Organization (PAHO) issued an alert about the first confirmed Zika virus infection in Brazil. What does the virus do, and why has there been so much media attention lately? The infection causes mild symptoms, including fever, rash, joint pain, and conjunctivitis (red eyes). The illness is usually minor and symptoms can last from a few days to a week. For pregnant women, the Zika virus can be much more serious because it can spread from a pregnant woman to her unborn baby. The outbreak of the Zika virus in Brazil led to many reports of poor pregnancy outcomes or women having babies with a severe birth defect of the brain called microcephaly. Estimates of babies born with microcephaly in Brazil vary. However, the number currently reported (4,100) is greater than expected. What happens if a baby gets this defect? Can we get Zika in the US? Where is it found? Currently, the virus is mostly found in South American countries and tropical islands, such as Puerto Rico and the U.S. Virgin Islands. Because the areas where Zika virus transmission is common will change over time, the Centers for Disease Control and Prevention (CDC) will update travel notices as information becomes available. Check the CDC travel website for the most up-to-date recommendations. Have people been affected by Zika in North Carolina? 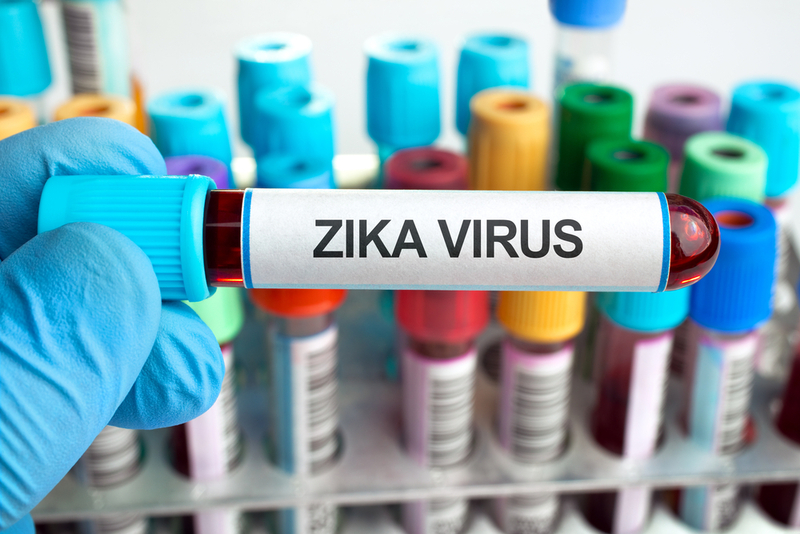 On Friday, February 19, 2016, the North Carolina Department of Health and Human Services announced the first case of Zika in North Carolina. One adult from the state got the virus while traveling to a country with a Zika virus outbreak. The patient was treated, and the symptoms are resolved. The mosquitoes that carry the Zika virus are not believed to be widespread in North Carolina. At this time, no mosquito-caused cases of the virus have been acquired in North Carolina or anywhere else in the U.S.
What is the treatment for Zika, and how can we avoid getting it? Pregnant women should postpone travel to areas where Zika virus is active. Pregnant women who must travel to one of these areas should talk to their doctors and take these steps to avoid mosquito bites during the trip. Women trying to become pregnant should consult with their doctors before traveling to these areas. As a routine precaution, take steps to prevent mosquito bites, such as using mosquito repellent and wearing loose, long-sleeved shirts and long pants when outdoors. See the full list of recommendations on the CDC website. What are we doing to prevent the virus from spreading? As of now, testing for the virus is done at the CDC. To stop the virus from spreading, North Carolina will soon be one of 12 states in the U.S. that can test for the virus locally. In the future, it is likely that measures to get rid of mosquitoes will be helpful. More research is still needed to determine the best steps. Unfortunately, there is no treatment or vaccine available at this time. Check out the CDC website to learn more.